It’s that time of month again (where does time go?!) where I get to post the items that I’ve been loving last month. 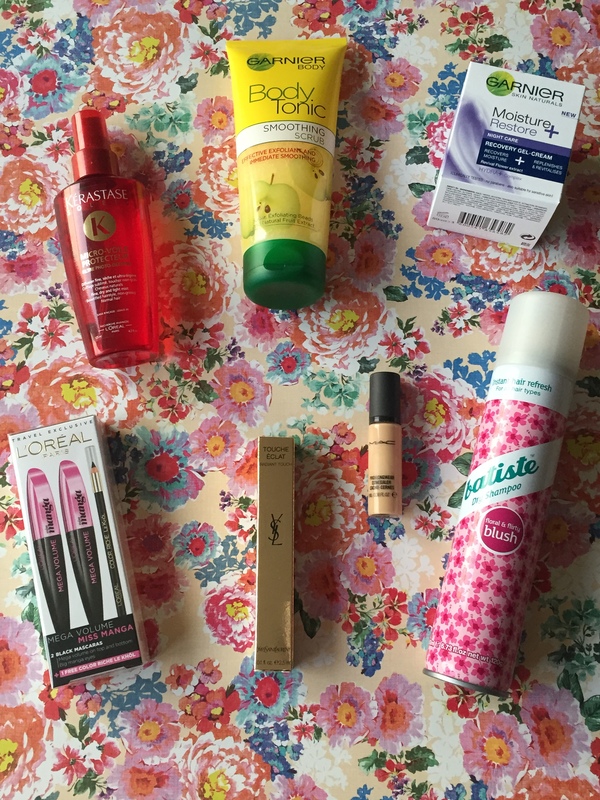 Monthly favourites are my favourite posts as I love showing you all the products which I’ve tried, tested and would highly recommend. September was a great month for me as I was on the ultimate vay-cay so spent the majority of my time relaxing in the Mexican sunshine. The trip was much needed to escape from the stress and issues going on in my personal life right now. But don’t worry I’m all good, plodding along keeping my chin up (kinda). 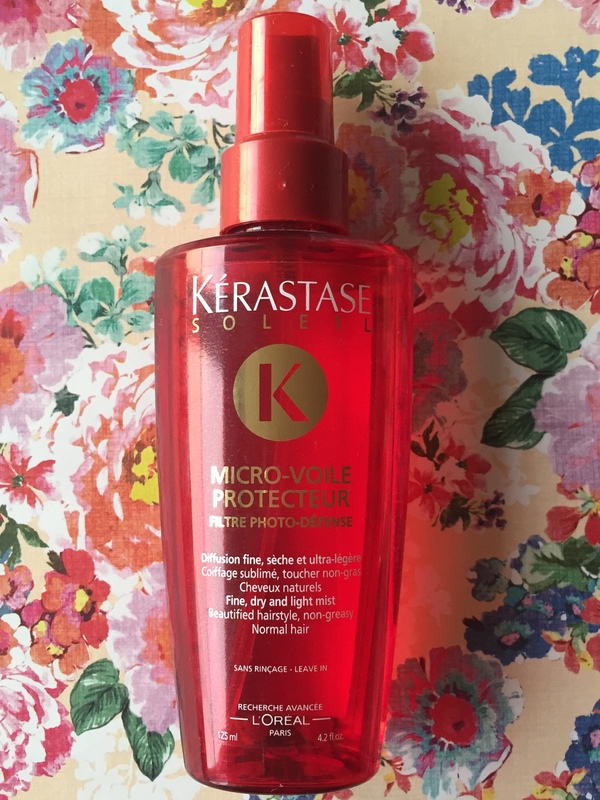 This is a bit like a sun block for your hair and it’s amazing! It’s a fine dry mist which you spritz on your hair prior to going out in the sunshine. It’s non sticky/non greasy and contains a micro diffused UV defense which protects coloured hair from the sun rays. It contains a blend of mineral oils and a long lasting shine polymer, which leaves hair feeling soft, supple and smooth. It’s perfect for highlighted hair in particular, and maintains that salon fresh look for longer. Hands down this is THE best scrub I have ever came across. 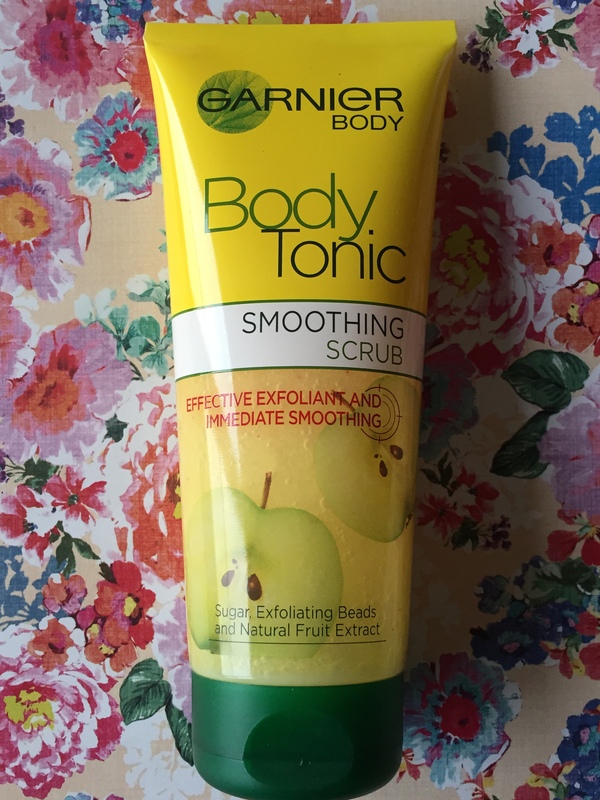 It contains a blend if sugar and natural fruit extracts to comfortably remove dead surface skin cells for an instant smoothing effect. With continued use, skin will begin to feel more toned. The fragrance is citrus and is the perfect shower pick me up. Sugar scrub is by far the best, particularly if you apply fake tan. Sugar scrub ensures that you’re not left with patchy bits on areas such as your knees, elbows and ankles. Trust me, it really does work! This pack is a travel exclusive and unfortunately you can only purchase these in the duty free at the airport, worldwide. 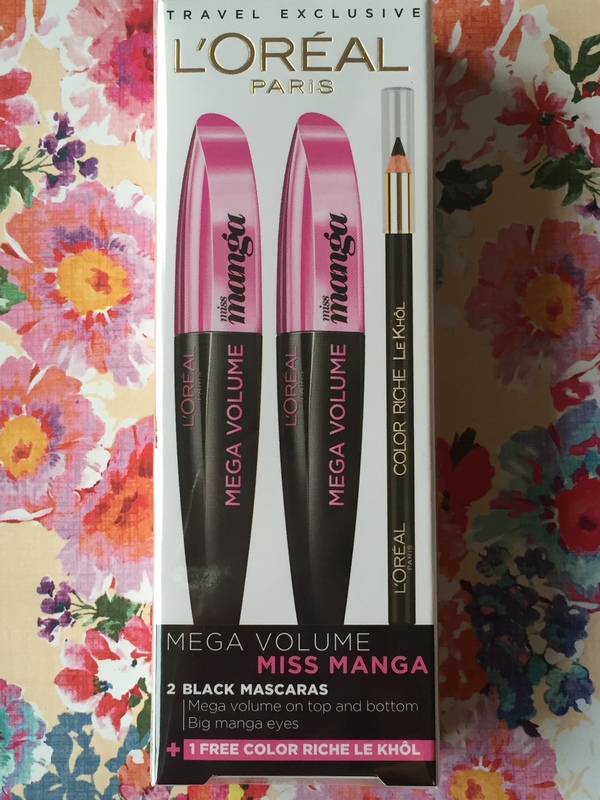 This is the best value for money as one mascara alone costs £8.99 and the eye pencil £4.99. 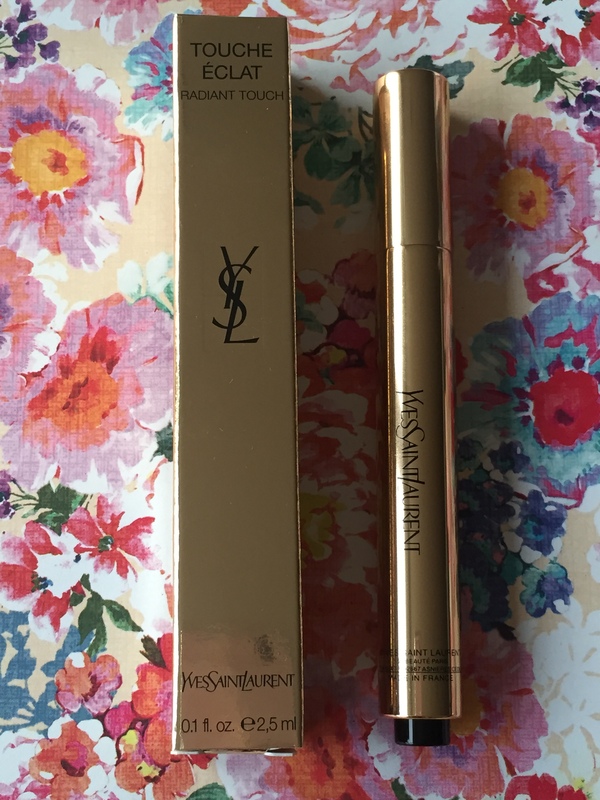 I love this mascara as it doesn’t clump or make lashes feel heavy. It also doesn’t drop particles on your face, it stays put all day long. It effortlessly makes lashes look fuller, thicker and more voluminous. Every time I wear this, people always comment that I’m wearing false lashes! So it definitely works. The eye pencil is black and is easy to apply. It’s soft and doesn’t drag on the skin. It stays in place all day. It can be used for precise lines or to smudge giving that smoky eye look. If you’re passing through an airport anytime soon, keep an eye out for these packs as they come in different L’Oreal mascaras. 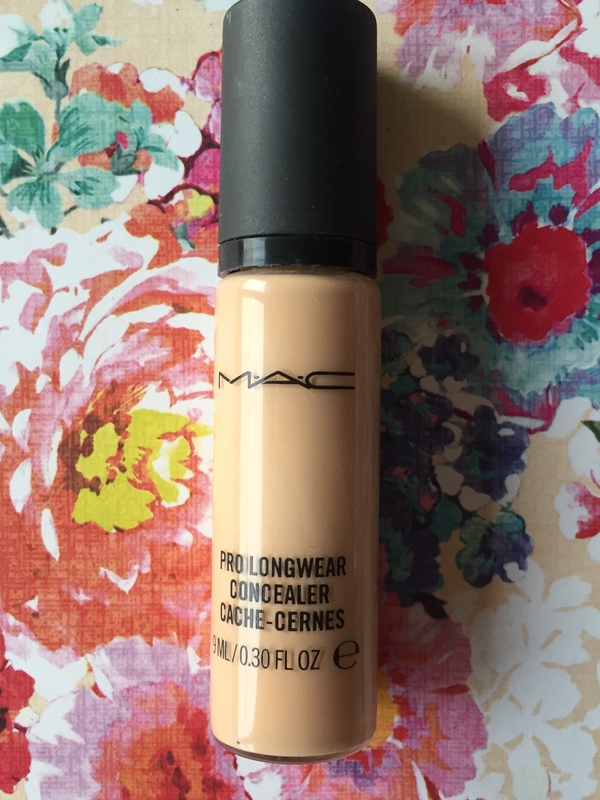 It took me a while to find the perfect concealer that actually works and finally MAC is my saviour! This is a lightweight fluid concealer that provides medium to full coverage. It is light on the skin and doesn’t clog. It provides a natural, matte finish and lasts for up to 15 hours. It helps to conceal skin discolourations and the look of under eye dark circles. The good thing about this product is that it comes with a pump so you only dispense out what you need unlike other brands where they don’t or you have to pay extra for the pump. This is of course the most well known product in the beauty industry and I go through phases of using it as it rather pricey. It is a pen brush applicator which is perfect for highlighting and refreshing make up. It has tiny light particles and mineral extracts that create a healthy, natural glow whilst also making skin look radiant. I team this up with my MAC concealer to cover under eye circles (a perfect disguise from a night out!) however it’s also good for contouring. 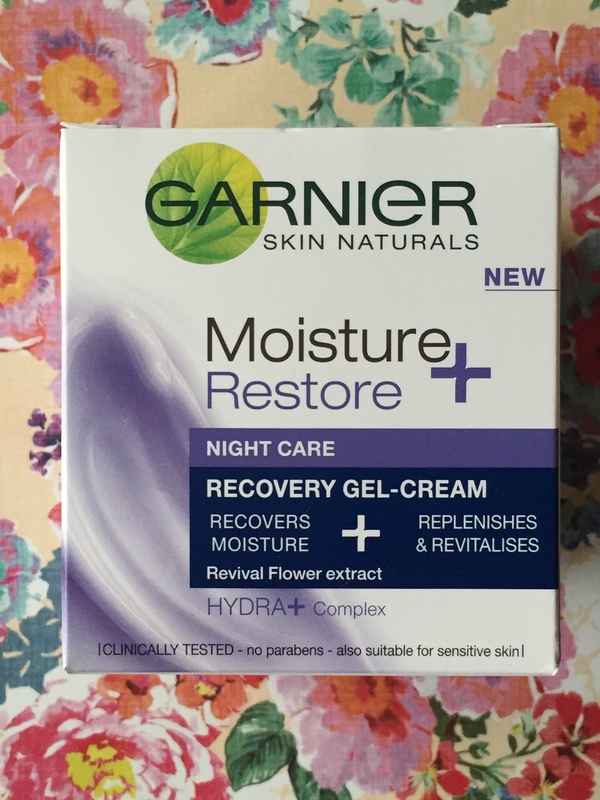 This is a night gel cream which is light on the skin and provides intense hydration. By morning skin feels velvety soft and radiant. This is all thanks to the extracts of the revival flower which is enriched within this product. This flower grows in the extreme climate of the Balkan Mountains and can withstand 31 months without water. With only a few drops of rain it quickly regenerates, regaining its original beauty. I like gel creams as I find them to be lighter on the skin and they don’t seem to clog the skin in the same way a cream does. As a gel is water based, it will sink deeper into the skin providing better results. You should try a gel rather than a cream and see what you think! This is of course the ultimate hair saviour. Dry shampoo banishes oily roots giving dull, lifeless hair a quick makeover without having to wash your hair. It quickly adds body and texture whilst leaving your locks feeling clean and refreshed. I used this almost every day on vacation. I also sometimes use it on freshly washed hair just to give that extra oomph of volume. 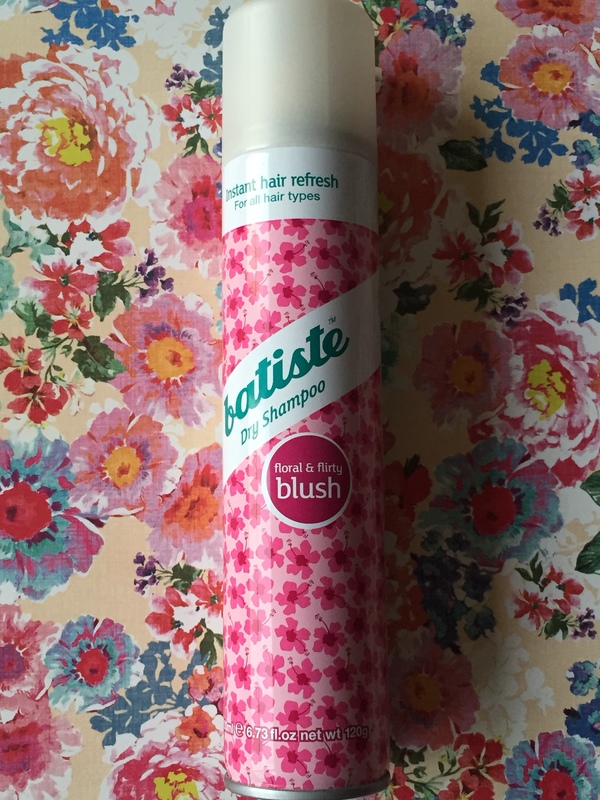 Batiste now has a range of fragrances however I love this floral and fruity blush. Let me what products you were loving this month as I love hearing your opinions. Yes!! I’ve always had that problem with MAC, which is probably why I usually stray away from them. But thanks for the tips.